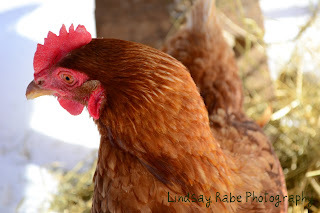 Last evening when Emily went to close up the chicken coop, our sweet Lottie was no where to be found. We let her free range during the day and she is often in the flower beds, scratching happily finding yummy stuff for chickens to eat! In the early afternoon she was in the front yard, and later as it was getting dark she was in the back along the creek as the kids were playing ultimate frisbee. A bit later when Emily went out, Lottie was no where to be seen. This is not good. The kids looked everywhere, no Lottie. We thought it strange that a wild animal would have gotten her, as there were people around while it was getting dark and she always goes into the coop at dark. There was no sign of a wild animal having gotten into the coop, there were no feathers around, nothing. We went to bed sad, thinking our poor chicken had become dinner for a fox family or something, but we left the coop open just in case she came home. An old Battenburg lace tablecloth - with some discolored spots, I decided to tea stain it! Homemade bread, Lindsay made this batch. Sarah and Kyle made chocolate chip cookies - they were really good! Lemon bars - Emily makes the best! The rest of my photos of the other families tables did not turn out well. Lindsay took some good ones, but is not home to share them with me. She and Rachel are spending the weekend at a horse expo with Grandpa. This is a much anticipated event every year for all three of them! Hope you enjoyed the photos...we do love to cook and bake around here, I take delight in my girls become very proficient in this area! What blessing it will be to them in the years to come! Tonight we are having a Learning Fair at our co-op. These are fun. I love to see what everyone has been working on throughout the year, or what their favorite books are or favorite country. We often do themes. The best year was a Countries theme and we made passports for all the folk who came and as they went through to every table (or country) they would get a sticker or get a stamp in their passport! It was very cool! Tonight's Learning Fair does not have a theme. I signed us up to participate before the 3 weeks of sickness, and thought I would have to back out. I just couldn't muster the enthusiasm to do a display (again) of horse related stuff, and then inspiration (Thanks Lord!) - we would do our table display on one thing that we do everyday or at least several times a week. Baked goods! Today we paid a visit to King's Herb Nook in Honeybrook, PA. When the girls and I took our medicinal herb class this past summer, our instructor was Rosanna King. Her family owns this great little store. It is packed with wonderful herbs, seeds, essential oils, teas, soaps, and much more. It smelled so good in there! Then we drove to Clay to the Clay Bookstore. This is a neat bookstore that not only has new books, stickers, teacher items, stationary etc, but used curriculum and used books! I scored a Grace Livingston Hill book I have been looking for, for $1. Then we went to our doctor's office for a follow up. The nurse practitioner that we have seen several times in the last few weeks, could not believe that the doctor did not give the girls a steroid yesterday. Emily and Sarah are on it - he didn't think Rachel needed it. The girls are already looking and feeling better. The work for each day is going pretty well, considering today I was gone almost all day, with taking the kids to the doctor for their poison (which the doctor who is not one of our regular docs, didn't feel confident that it is poison ivy and even though he was certain they would need a steroid, he didn't feel confident in giving it to them yet. We ended up with tears for girls who are quite miserable being made to stay miserable for at least one more day). Yesterday I managed to clean out the fridge. It didn't take long and it looks very nice. Tonight I decided to reorganize the counter. I already have a baking center with everything I need to bake in the cupboard under my Kitchen Aide, and so I decided to move the jars for rice, oatmeal and pasta to the counter area by the stove. This way the things that are cooked are by the stove. This also has cleared a counter off, and visually removed clutter! Good stuff all the way around. Do you know the old saying "If it's not one thing, it's another?" That is how it has been with the girls lately. Rachel had strep, Sarah a sinus infection, Emily and Sarah some kind of virus. We had a wonderful time on Sunday. Good church service, good fellowship meal, good men's meeting...are you sensing a theme? After all that fun we headed home with a family from our church who live an hour away. The older kids went outside to have a bonfire, a few younger siblings joined them as well. Apparently something that was tossed on the fire must have had poison (ivy, oak? or something else) on it because Rachel started itching Sunday night. Yesterday Emily woke up itchy too, then Lindsay mentioned she had a bit on her hands. Later in the day Sarah started. All but Lindsay have it on their faces. My friend Laura I think has the answer to my question. My phone and dsl provider is Frontier and they are headquartered in Rochester, NY! Genius girl! Whenever I am visiting a blog that uses a visitor tracker like Feedjit, it shows that I am in Rochester, NY, which I am not! I have started to get ads popping up from Rochester too. Does anyone know why this could be happening and how to fix it? In the "Little House on the Prairie" books Ma had work that was specific to each day. We generate a lot of laundry here at the cottage. Serious laundry. We basically do laundry every day. I've been reading the book "Large Family Logistics" by Kim Brenneman, that I mentioned here.She mentioned the same idea as Ma Ingalls had. Different work for different days. Seeing as how today is Monday and we always have a lot of laundry from the weekend, today is a good day to start. I am hoping that if we can get all the laundry done today, that maybe we can only do laundry a few days a week, instead of every day. I usually wear my hair longer, but it was in need of shaping and well, it is feeling like Spring and I wanted a change! I never go crazy with it - it is baby fine, but really curly. I also have a widow's peak, and a cow lick on each side of that. Crazy hair I say. It has it's problems. It has a mind of it's own. So I usually wear it very much the same, just longer or shorter. It is layered for fullness and it makes it easier to care for. This is after I dried it and used a curling iron on it. What do you usually do with your hair? I love to read about what others are reading, it is a neat way to find out about books and authors that I have not read. I am one who usually has several books going at a time. I am currently reading "Miss Read Village School" and I am reading "Large Family Logistics"
which a friend loaned me. I am enjoying both books and they both are very different reads. One is simply for pleasure and the other is a helpful book. I am learning a lot about organizing my day etc. I highly recommend this book! Thanks Brigette for loaning it to me! I am also reading in 2 Corinthians, and Galatians. And I do a lot of blog reading! So let's talk! What are you reading? Why did you choose it? What authors do you love to read? I am taking a moment to relax. We have been dealing with sickness since last week - Emily is doing fine, but Sarah still seems wiped out and off and on runs a fever. Now Rachel has strep. I was very pleased with how well we were doing health wise this winter, and I really can't complain. We have been very healthy. I had Rachel at our doctor's office this evening and the Nurse Practitioner that we saw, said he and his family have had a terrible winter sickness wise! We will continue with rest, lots of fluids, jello, and good movies to break up the monotony for them. Right now we are watching "Battle of Britain" an old movie but one that fits in with our history studies this year. It is a creative way to continue to learn while dealing with sick days! On top of all the care giving and snuggling and movie watching, we have co-op classes tomorrow (for the non sickies) and then a graduation meeting tomorrow night. My little guy, Kyle is learning to read. He is my earliest reader. He just has a mind to absorb knowledge. For many years I have been reading about a phonics program called "Alpha Phonics" by Samuel L. Blumenfeld, and decided to use it with my son who is five and as a help for my Sarah. It has been fun to watch him learn and to see his eyes light up when he recognizes words. The other day he asked me to help him read a book. He did most of the reading, I helped him with a few words but he really did it! We have a few books that he practically has memorized, but even with those he 'reads' them - just knowing what the words say and looking at them while reciting is reinforcing it in his mind! I have found that Alpha Phonics has been a great help to my 8 year old struggling reader as well. It has given her confidence in her reading that she didn't have before. We are having warmer weather, and with the snow melting we are all getting eager for Spring. Today Becky and I took our kids to our favorite garden. Longwood Gardens is having an Orchid Festival. It is amazing how many variety of Orchids there are. They come in different colors, sizes and shapes. They have never really interested me, except for the fact that they are well, interesting. Just look at them! I think of them as high maintenance flowers, and at Longwood, the Orchid room is humid. I am not a fan of humid. I am always in awe of God's creativity, giving us the ability to propagate new varieties of plants. Spring is on the way, my friends, I'm excited. Are you? After all these years he is my dearest friend and love. I thank the Lord for you every day! I am so happy to be your wife. Lindsay and I have been watching the Lord of the Rings trilogy. I haven't seen the movies in years, but am enjoying getting to know the characters again. I didn't know what to title this post...should I say "another busy day?" or "prayer requests, again?" A few years ago I realized that my busy life, was not a blimp in my normal routine - it was my normal routine! There are a lot of us living here and that makes for a busy life. Sarah and Emily have been sick for a few days. Nothing terrible but a low grade fever and cough. The fever makes them feel bad, but we are managing it. It means an adjustment for Lindsay as she will need to run our friends' store today by herself. He said it has been busy this week leading up to Valentine's Day so at least she will not be bored! Charlotte Mason was a British Educator who believed that education was about more than training for a job, passing an exam, or getting into the right college. She said education was an atmosphere, a discipline, and a life; it was about finding out who we were and how we fit into the world of human beings and into the universe God created. When I was a young home educating mom I learned about Charlotte Mason online and I bought Karen Andreola's book "A Charlotte Mason Companion." It was so helpful to me and helped me to implement an attitude of learning in our home, rather than "read a section from a text and answer questions." All these years later, I am still using Charlotte's ideas for nature study. Over the years we have observed a preying mantis, a garden spider's orb web and counted the rings, we have caught turtles and frogs, hiked and observed lichen and mosses, looked at the bark of trees to find what kind of tree it was...the list goes on. For several months now I have been baking our bread. There are two blogs that I read that the gals have been sharing bread recipes and/or tips for better baking. The first blog I want to share with you is Rosie's Ramblings. Rosie writes about her life at home with her dear mama Jewels, and the rest of the family. She shared a recipe for the "best bread ever", here is a link. This bread of mine was made from that recipe. It is the BEST BREAD EVER! We devoured a whole loaf this evening! I will definitely make this recipe again and again. Joy at Home Joys has been doing a great series on baking and if you click on the link it will take you to her newest post on bread baking - freezing dough. I talked Kayleigh through making an English Apple Pie. She did great and made it while I was sewing pillowcases this afternoon.